After resting by the blazing fire in the spacious southern wing of the castle, all you have to do is descend the staircase to the original stone passage and you will find yourself in the ‘Cloudy Skies’ room. The melancholy of the painting by Gustav Macoun, known for his lonesomeness, presents both the roughness and beauty of Vysočina nature. 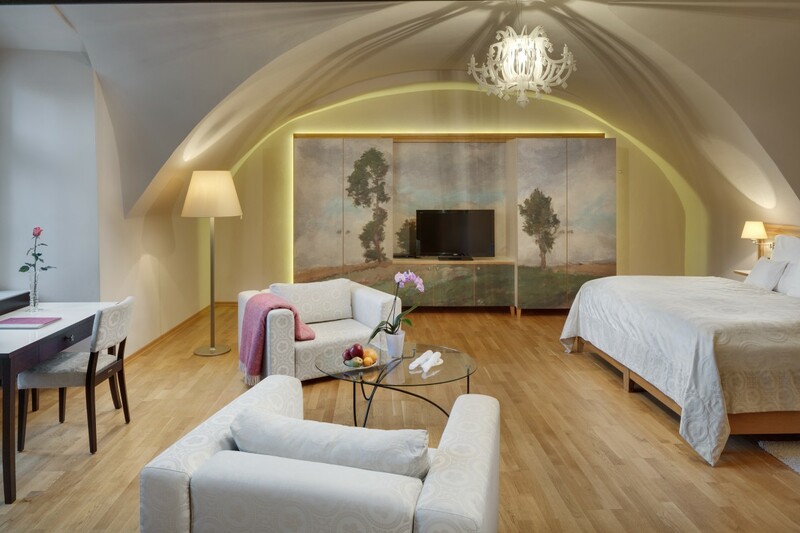 The spacious room is completed by beautiful arches, with silver drawbars directing your vision directly towards the English park. Although the size is of a standard room, it holds a unique deluxe touch.